Dr. LaGratta accepts the following list of insurance providers. Select your insurance provider to see more details. I am a board-certified radiologist with expertise in imaging the chest, abdomen, and pelvis. My work includes interpreting ultrasounds, CT scans, MRI scans, and PET scans. I have a particular focus on imaging liver cancer, pancreatic cancer, and gallbladder and bile duct cancer and related disorders. These cancers can be some of the most challenging to diagnose and stage. Every day I embrace that challenge. 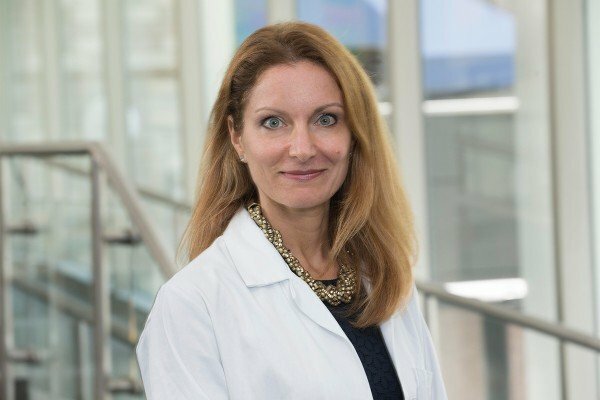 I have been practicing radiology since 2006 and have been at MSK since 2016, when I joined the MSK Monmouth team as Deputy Director of Radiology. As a radiologist, I strive to be as accurate and sensitive as possible during initial detection and staging, as well as when detecting recurrences. Sometimes that involves spending extra time to thoroughly review a person’s medical records as well as repeatedly review images of multiple exams. But if that is what it takes, that is what I am very willing to do. I am committed to providing excellent and compassionate care. Even though I may not meet all the people whose imaging tests I am interpreting, I treat every image I see as if this person is a member of my family. It is a great pleasure for me to ensure that our patients and staff have a satisfying, positive experience with our department while maintaining top-notch quality and service. MSK provides the ideal environment for cancer imaging. I am honored to be a part of a community that brings together excellence in cancer medicine and state-of-the-art imaging facilities. We integrate the clinical, genomic, and imaging expertise required to deliver the best care to our patients. Visit PubMed for a full listing of Dr. LaGratta’s journal articles. Pubmed is an online index of research papers and other articles from the US National Library of Medicine and the National Institutes of Health.